ROSES ARE RED, VIOLETS ARE BLUE. IF YOU HURT US, WE'RE COMING FOR YOU. Moxie meets Female of the Species in this powerful, thrilling, and deeply resonant novel about a secret society of girls who plot revenge on the men who hurt them. The enigmatic Black Coats have been exacting vengeance on men who have hurt girls and women for years. 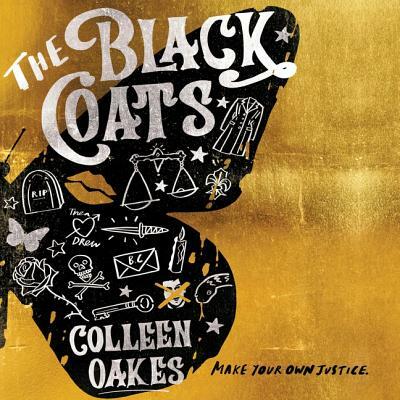 The killer of Thea's cousin went free, and Thea has just received an invitation to join the Black Coats' balancings--acts of revenge meant to teach a lesson. Justice for Natalie has never felt so close. But as the balancings escalate in brutality, Thea's clear-cut mission begins to unravel and she must decide just how far she is willing to go for justice. Because when the line between justice and revenge is paper thin, it's hard not to get cut.